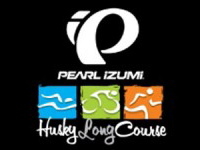 The Husky Long Course Triathlon has become one of Australia's most loved iconic Long Course events. With some of the nation's finest athletes sizzling the shores of the Shoalhaven, the event will be the perfect platform to commence your taper for Ironman in May. Set on the shores of Jervis Bay Marine Park, Huskisson comes alive when over 4000 fabulous athletes hit town for a weekend of multisport festival fun.